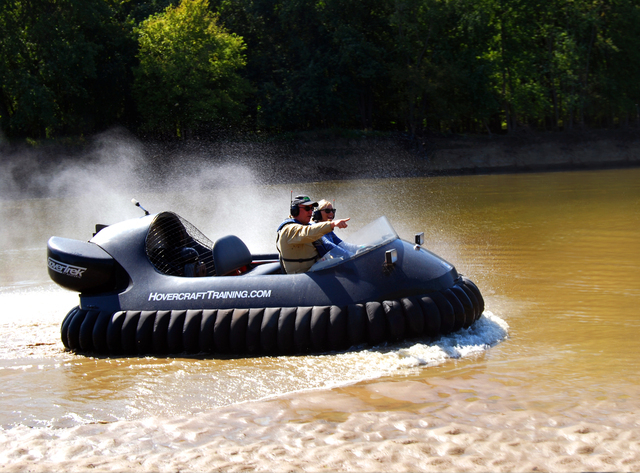 There is no vehicle comparable to a hovercraft. Imagine taking off for a day on the water with family and friends without the need for a boat ramp. Confidently, you fly just inches above the surface, gliding over the water to explore shallows, marshes, sand bars and mud flats, without leaving a footprint. Consider having the potential to rescue a victim who has fallen through the ice, without becoming a victim yourself. Your perception of work and play will be forever changed. These are but a small sample of the versatility and usefulness of these amazing vehicles. Hovercraft are crowd pleasers at entertainment venues. 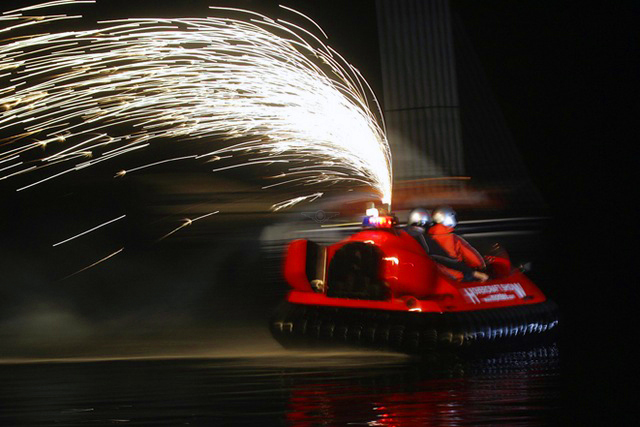 Shallow water conditions are no challenge for hovercraft.